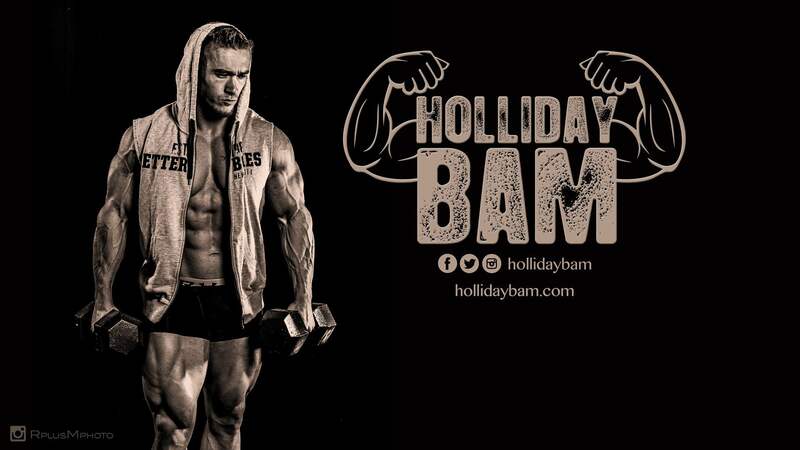 Welcome to Holliday Bodybuilding and Motivation (HollidayBAM). A website designed to help you reach your fitness goals. The gym has always been home to me and physical fitness has been my way of life as I traveled around the world with the Marine Corps. During deployments I could find a way to relieve stress and bond with others. Although my goals have changed throughout the years, from organized sports, powerlifting, strongman, and eventually bodybuilding, I have found friendships and success in the health and fitness community. My journey began in 2002 while on the high school football team. I became passionate about physical fitness after seeing how I felt healthier, looked better, and was more confident, all through proper exercise and diet. After 10 years of searching how to focus my energy, I set my emphasis on bodybuilding. In 2013 I competed in my first competition in Kaiserslautern, Germany. I placed fifth, but I was hooked. I saw my body making a huge transformation for the better. Later that year I competed in the Stuttgart Bodybuilding contest and won my weight class at light heavyweight. Gaining control of your body is an extremely enlightening and satisfying experience. The ability to reduce fat and gain muscle through an integrated and intelligent diet, workout, and supplement is priceless. I want to share with you the rewarding experiences I have felt and give back to the community that has been so welcoming and supportive to me. I believe there is something special about these individualized sports. Even though having a support network can be critical at times, it all comes down to how much effort and dedication you give it. How badly do you want to succeed? It’s all on you. But never forget those who have helped you along the way. Thanks for visiting my page. I hope I can inspire you to be the best version of yourself.